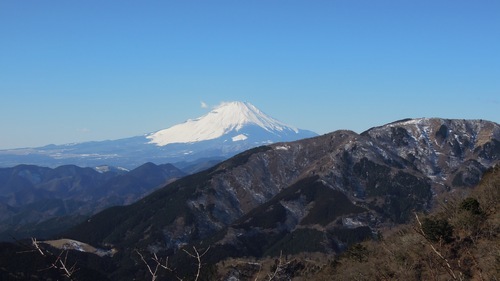 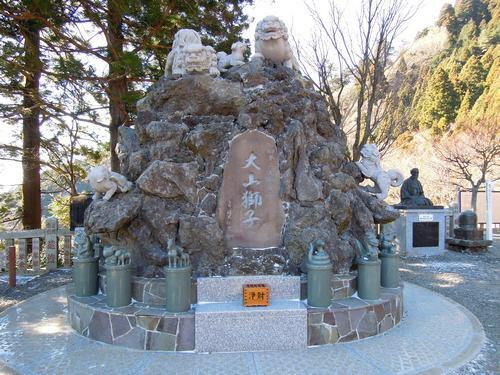 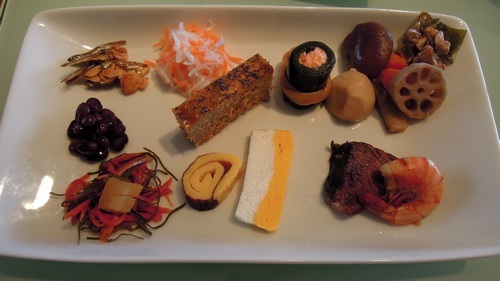 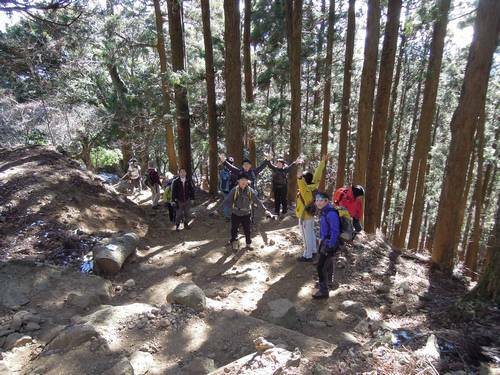 January’s mountain, Oyama. 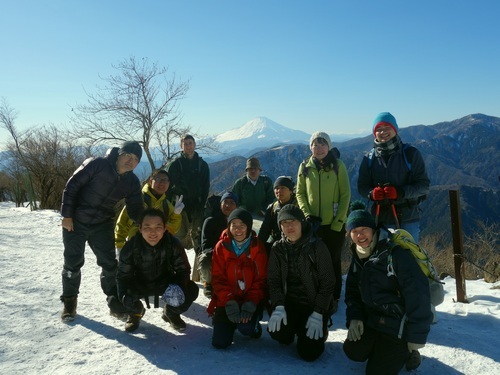 Winter has to be the best time to climb as the air is clean and the views are amazing. 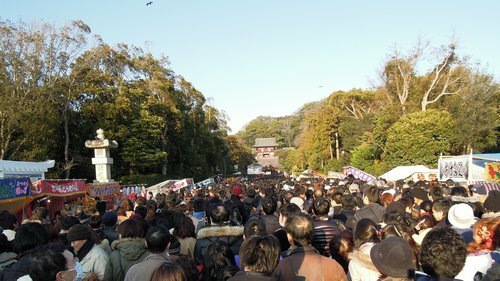 After the sunrise we took John to experience the crowds that are the first temple visit of the year. 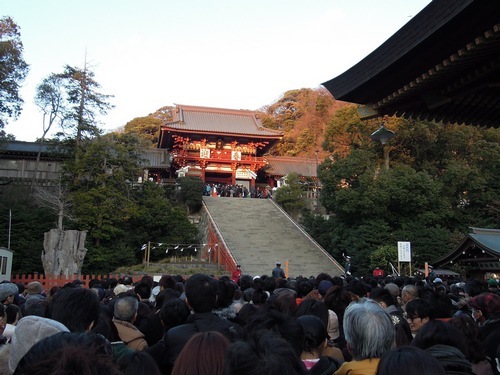 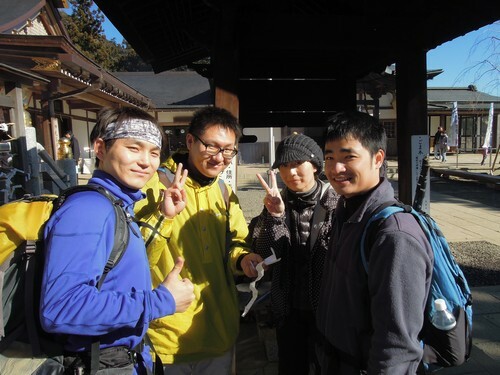 We went to Hachimangu in Kamakura because it is famous and close, but I didnt realize that it would take about an hour to get through the line to the top to the temple. 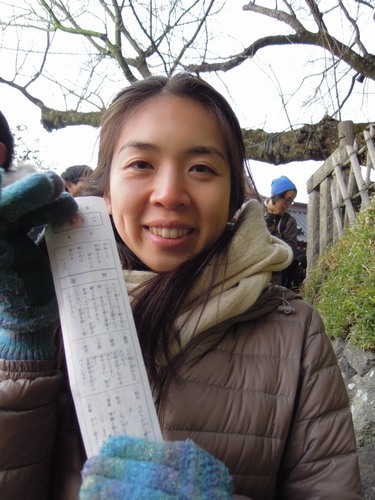 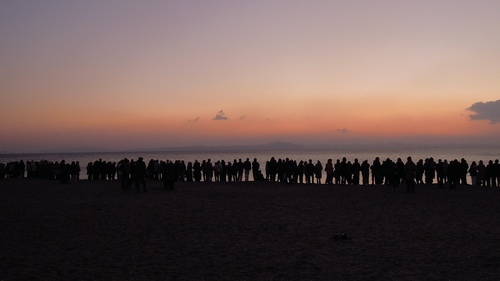 It is a tradition in Japan to get up really early and watch the first sunrise of the new year. 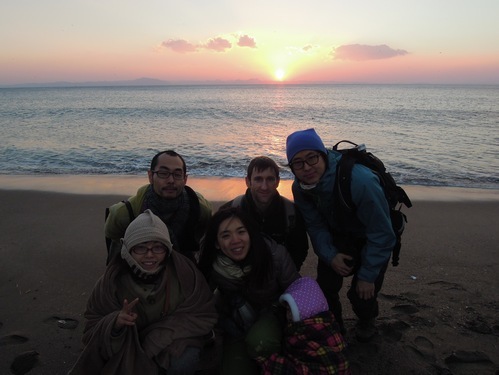 I have done it a few times from the top of mountains, but this year we went with some friend to the beach. 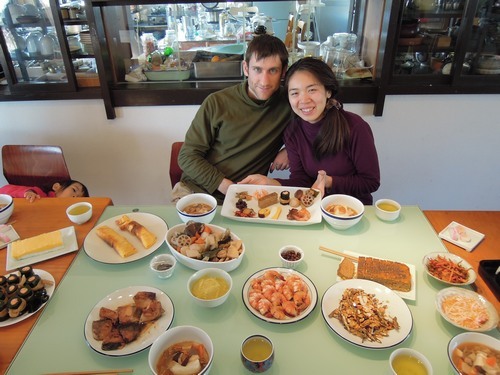 My friend John from Norway was also visiting Japan at the time so we took him with us. 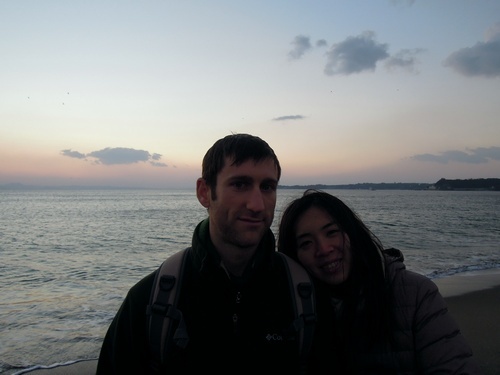 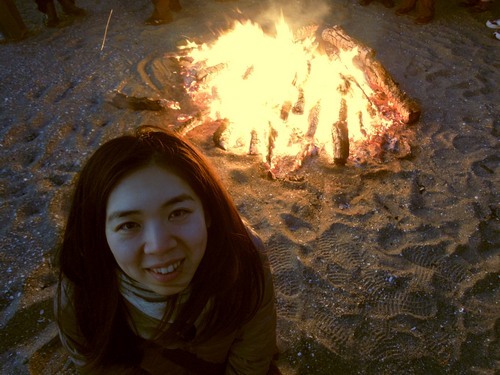 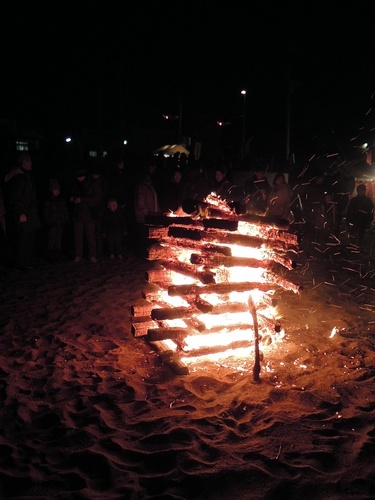 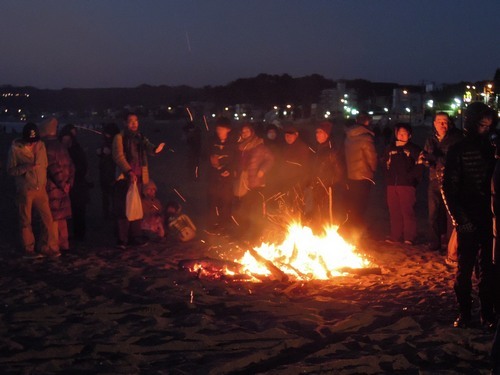 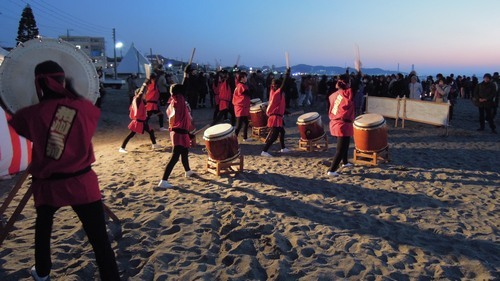 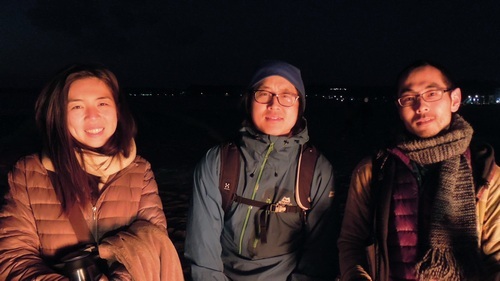 The beach had big fires going to keep warm until the sun came up, as well as a Taiko performance and free soup. 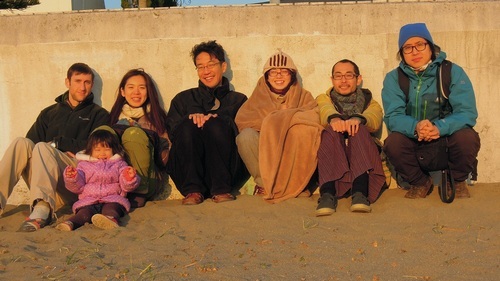 My friend John in the center. 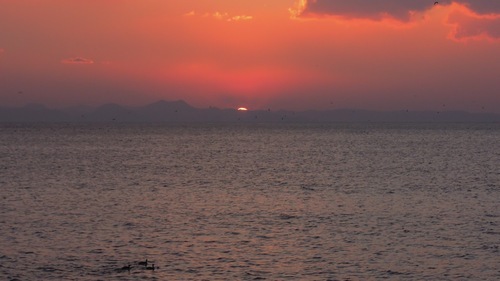 Yay, the sun came up this year. 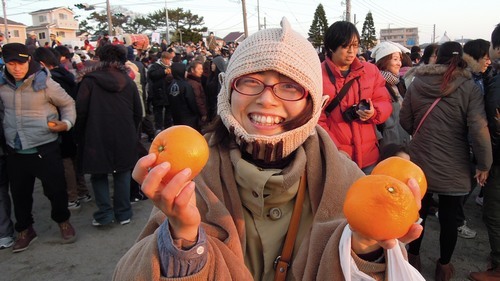 After the sun comes up they throw out lots and lots of oranges to the crowd on the beach.